Increasingly, authors are looking to build meaningful connections with fans online so that they can attract loyal readers who are engaged with their work. Unlike other social networks, on Wattpad we have a massive community of engaged users who are predominantly readers. 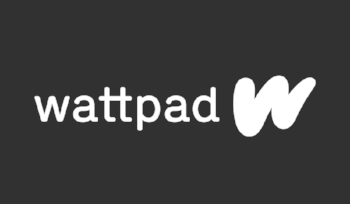 They come to Wattpad to read stories and engage with their peers and the writers they follow. The writers on our platform are the celebrities and their fans are deeply engaged in their work. The connection between reader and writer is what matters most, and this is what sets Wattpad apart.On Wattpad, readers represent 90% of our community of over 40 million monthly unique users, and the average reading time is an astounding 30 minutes per session. According to an eMarketer study, the only two social sites who boast longer average time spent are Facebook and Tumblr, with Instagram not far behind. This represents an enormous opportunity for authors. Wattpad is the place where many successful published authors come to find an audience and engage with readers. We have a number of best selling authors on our platform; Dan Brown, Margaret Atwood, and Ellen Hopkins to name a few. And we continue to build relationships with publishers and agents. But the magic of Wattpad is that we welcome all authors from all walks of life and stages of career. Published authors continue to come to Wattpad to share their work and find great success. They engage with their audience in a new way - often to share exclusive content, post essays or articles, and to share themselves with an audience who is excited to offer thoughts and opinions. Wattpad provides a unique opportunity to connect readers and writers together in a meaningful way.